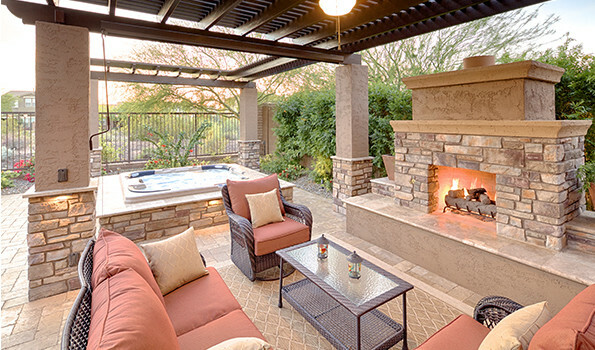 What Makes a Great UNIQUE Outdoor Living Space? There is a lot of truth to the old saying, “you don’t know what you don’t know.” And that can be true when thinking about almost any subject. That is the main reason why it is critical for homeowners to do some research and ask a lot of questions when meeting with a UNIQUE designer; because nothing is worse than learning about a great new outdoor living feature AFTER your yard is completed. As you are thinking about your landscape, there are several questions that you need to ask yourself. You will also want to give careful consideration to how you are answering these questions. Do you just want a small place to sit and relax in the evenings with family or would you like a space large enough to entertain extended family and friends? This answer is going to help you not only select the size of your outdoor living area but also the features which you would like to include. Is the outdoor space going to be for year round use or mainly just a summer hang out for the kids? This answer will guide you to either a kid friendly pool and play area or a full outdoor living space with features for both kids and adults. Do you want to be able to spend all day and maybe even most of the night outdoors, or are you just interested in going out for a few hours from time to time? If you are only interested in short visits to cool off in the pool and maybe relax with a beverage then a basic UNIQUE package will meet all of your needs. But, if you are a true fan of the great outdoors then you will want to learn about the premium packages UNIQUE offers. These designs will make it possible for you to spend the entire day enjoying your outdoor living space in comfort and style. Also, be sure to ask your UNIQUE designer about any other great features that would enhance your enjoyment of your perfect outdoor living space. Anything that you can imagine can be custom designed, engineered and built in your backyard thanks to the decades of experience and skills of the UNIQUE team.